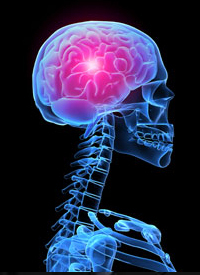 Regorafenib (Stivarga) improved overall survival (OS) and progression-free survival (PFS) compared with lomustine (Gleostine) for patients with glioblastoma (GBM) that recurred following surgery and treatment with the Stupp regimen, according to updated results presented in a poster at the 2018 ASCO Annual Meeting. Updated findings from the randomized, multicenter, controlled open-label phase II REGOMA trial (NCT02926222) showed that the OS rate at 12 months favored patients assigned to regorafenib 38.9% vs 15.0%. The median OS was 7.4 months (95% CI, 4.7-7.3) in the regorafenib group compared with 5.6 months (95% CI, 4.7-7.3) in the lomustine arm (HR, 0.5; 80% CI, 0.38-0.65; P = .0007). Prolonging OS was the primary objective of the study. Secondary objectives included PFS, DCR, safety, and quality of life. Lombardi added that he expects to initiate a phase III trial in the next few months. Patients with histologically-confirmed GBM and documented disease progression were randomly assigned to 160 mg of daily regorafenib in a 3 weeks on, 1 week off schedule (n = 59) or 110 mg/m2 of lomustine every 6 weeks (n = 60). Treatment continued until disease progression or unacceptable toxicity. Investigators performed brain MRIs every 8 weeks according to the RANO criteria to assess tumor response. Eligible patients had an ECOG score ≤1 and at least 1 measurable target lesion with 1 diameter of ≥10 mm. Patients in the study had progressive disease as measured by RANO criteria ≥12 weeks following completion of radiotherapy, unless the recurrence appeared outside the radiation field or was documented histologically. The median patient age was 57.3 years. Twenty-seven (22.7%) patients had surgery at recurrence. Patients were treated at 1 of 10 surgical centers in Italy. Ninety-nine patients had died by the December 31, 2017, data cutoff date. Median follow-up was 15.4 months. DCR was 44.8% versus 21.1% (P = .009) favoring the regorafenib arm. The median PFS was 2.0 months (95% CI, 1.9-3.6) in the regorafenib arm versus 1.9 months (95% CI, 1.8-2.1) with lomustine. However, the median PFS was statistically superior for patients in the regorafenib arm (HR, 0.65; 95% CI, 0.45-0.95; P = .022). The 6-month PFS rate also favored regorafenib (16.9% vs 8.3%). Lombardi said that median PFS is not a good endpoint for aggressive diseases such as GBM because most patients develop progressive disease quickly. He argued that endpoints such as 6- or 12-month PFS are better assessments for efficacy, and noted that the 6-month PFS rate was about twice as high in the regorafenib arm. “Moreover, it is very important that this is the first randomized and comparative study demonstrating efficacy in terms of overall survival in patients with recurrent glioblastoma since 2005, when temozolomide [Temodar] was approved for glioblastoma patients,” he added. There were no treatment-related deaths recorded in either set of data. In the updated results, regorafenib patients were more likely to experience grade 3/4 increased lipase (10.2% vs 1.7%), hyperbilirubinemia (10.2% vs 0%), and hand-foot skin reaction (10.2% vs 0%). Conversely, patients assigned to lomustine were more likely to experience grade 3/4 lymphopenia (10.0% vs 5.1%), thrombocytopenia (13.3% vs 1.7%), and neutropenia (11.7% vs 0%). These updated findings improve on preliminary efficacy data presented at ESMO. In the earlier findings, the median OS was 6.5 months for regorafenib and 5.5 months for lomustine (HR, 0.64; 80% CI, 0.47-0.87; P = .028). The 6-month PFS rates were 15.5% and 8.3% (HR, 0.69; 95% CI, 0.47-1.01; P = .051) in favor of regorafenib. Similarly, regorafenib induced a superior DCR, 44.8 percent versus 21.1 (P =.009). The multikinase inhibitor is also approved for the treatment of patients with metastatic colorectal cancer and advanced gastrointestinal stromal tumors. Lombardi G, De Salvo GL, Ruda R, et al. Updated results of REGOMA: A randomized, multicenter, controlled open-label phase II clinical trial evaluating regorafenib in relapsed glioblastoma (GBM) patients (PTS). J Clin Oncol. 36, 2018 (suppl; abstr 2047). Lombardi G, De Salvo GL, Brandes AA, et al. REGOMA: A randomized, multicenter, controlled open-label phase II clinical trial evaluating regorafenib activity in relapsed glioblastoma patients. In: Proceedings from the 2017 ESMO Congress; September 8-12, 2017; Madrid, Spain. Abstract LBA16. Bruix J, Merle P, Granito A, et al. Efficacy and safety of regorafenib versus placebo in patients with hepatocellular carcinoma (HCC) progressing on sorafenib: results of the international, randomized phase 3 RESORCE trial. Presented at: 2016 World Congress on GI Cancer; June 28 - July 2, 2016; Barcelona, Spain. Abstract LBA03.